Our Omega boys have applied their learning about shapes and patterns to create water color self-portraits. The boys used mirrors to inform their drawings, which will hang in their classroom in the upcoming days. Each year, the boys engage in this activity as a way to foster community, review shapes and practice with a variety of art materials. They discuss with each other observations about their features, the shapes they notice and colors that stand out, and create a special frame for their artwork that incorporates their knowledge about patterns. This activity engages our young boys' creativity, artistry and analytical minds. The results are expressive and delightful! The new facilities that will open in September 2018 will enable our Saint David’s faculty to be all they can be. It will expand and enhance what and how they teach throughout the school program. The following article, by Assistant Headmaster Ali Aoyama, appears in the current issue of Saint David's Magazine. 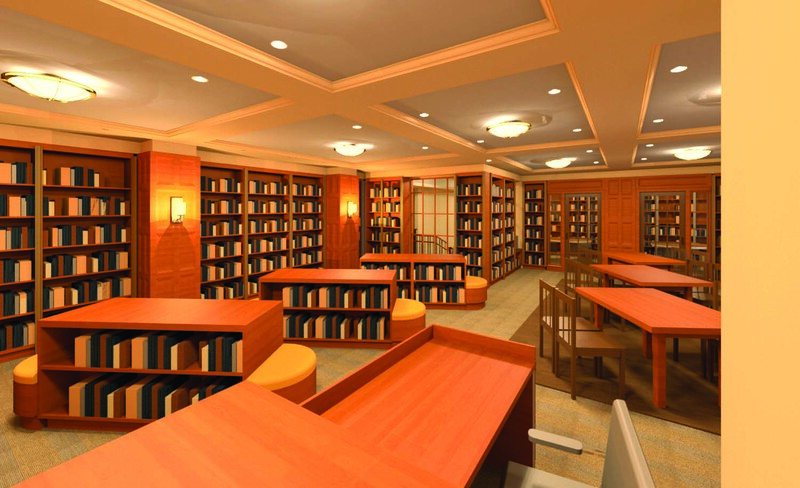 It addresses how homerooms and libraries will be optimized. To be leaders in today’s world, our boys will need to be able to listen to the perspectives of others, clearly articulate their own ideas, and collaborate with teams to achieve a common goal. For years, we have cultivated these skills in cramped quarters. The new facility will afford us many more opportunities to nourish critical thinking and communication skills by engaging boys in discussion groups, debates, collaborative learning, and problem solving experiences. The new homerooms will be larger and more square in shape, providing teachers with more options for how they are able to arrange the desks, optimizing the learning experience for boys. For a class discussion or debate, the teacher may decide to configure the desks in a circle or u-shape. When boys are working in teams, the desks may be set up in pairs or in small groups. 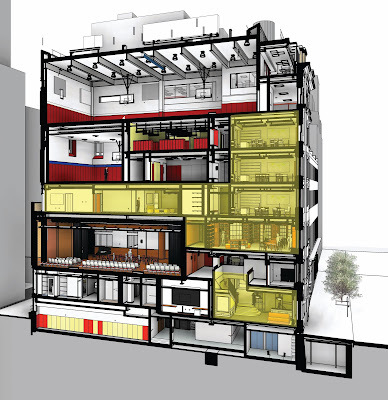 The larger spaces will afford teachers the ability to tailor the layout to the learning experience. 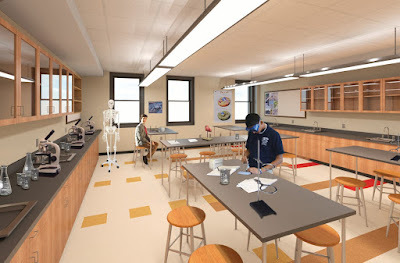 The addition of the Graham House will also allow us to strategically group homerooms together by grade level, allowing for easy movement between classrooms and cross-grade level connections. Beginning in Fourth Grade, each homeroom suite will include a Commons where boys can come together to collaborate. The Commons will be outfitted with tables, chairs, and soft seating. It will extend the size of the homerooms and allow boys to spread out when working in research groups or problem solving in teams. Boys will be able to huddle around a table as they share their ideas and document their thinking. The Commons will provide boys with the space they need to work together. 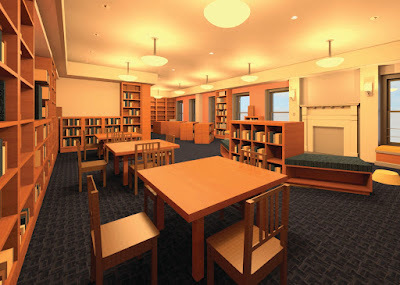 The new Upper and Lower School Library Suite will be connected by a common space, which will integrate the library experience for the boys. With shared office space, Upper School Librarian Gwen Kaplan, Lower School Librarian Gretchen King, and Upper School Assistant Librarian Winnie Feng will more easily be able to collaborate, increasing the opportunities for cross fertilization in the library program. 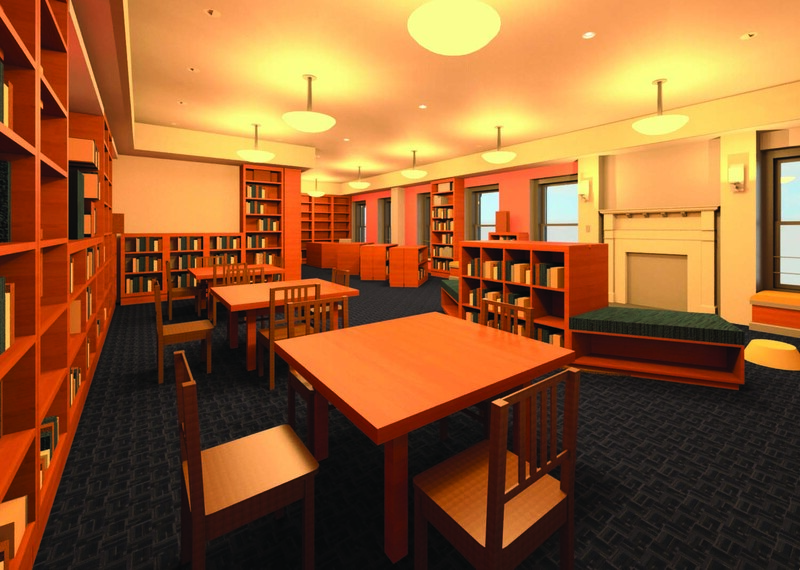 The new Lower School Library, designed specifically for the needs of younger boys, will feature a designated story time space and a variety of seating options. The open layout will allow the boys to easily move around and browse the collection independently, with books located on low shelves. 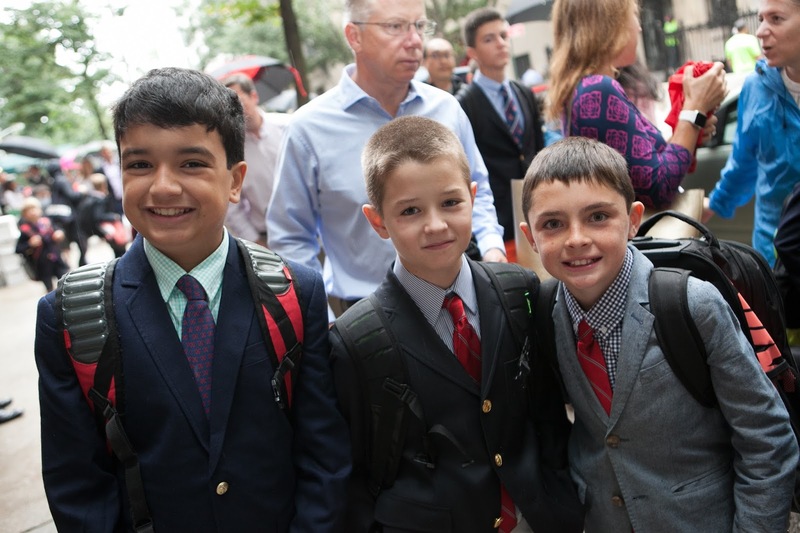 Because the boys will have been exposed to the Upper School Library throughout their younger years, the transition from Third to Fourth Grade will be eased. Upper School Library, courtesy of Platt Byard Dovell White, June 2017. 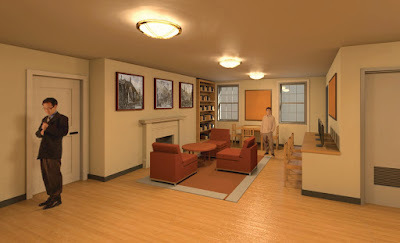 The Upper School Library will feature cozy nooks, window seats, and private spaces where small groups of students will be able to collaborate on research projects. Boys will also come together in the common space, where they may settle in to read, or share thoughts about a book or project. 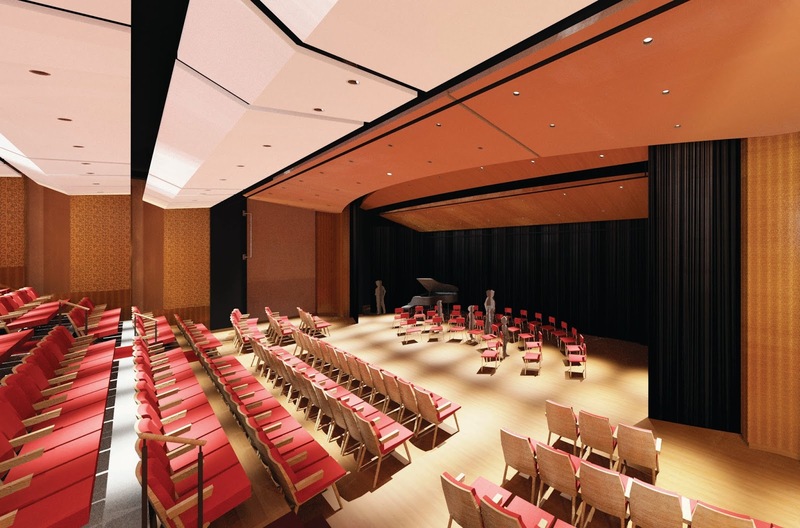 In addition, the school will feature a Humanities Reading Room, stocked with the Maiocco Collection, where some of the Eighth Grade boys’ Humanities classes will be taught. 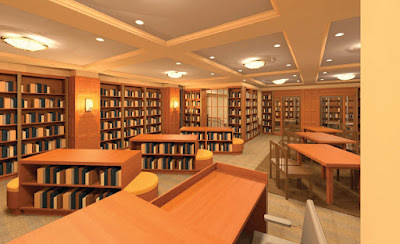 Teachers will have access to a Faculty Reading Room, containing collections on pedagogy as well as higher level non-fiction and fiction in the academic areas in which they teach. 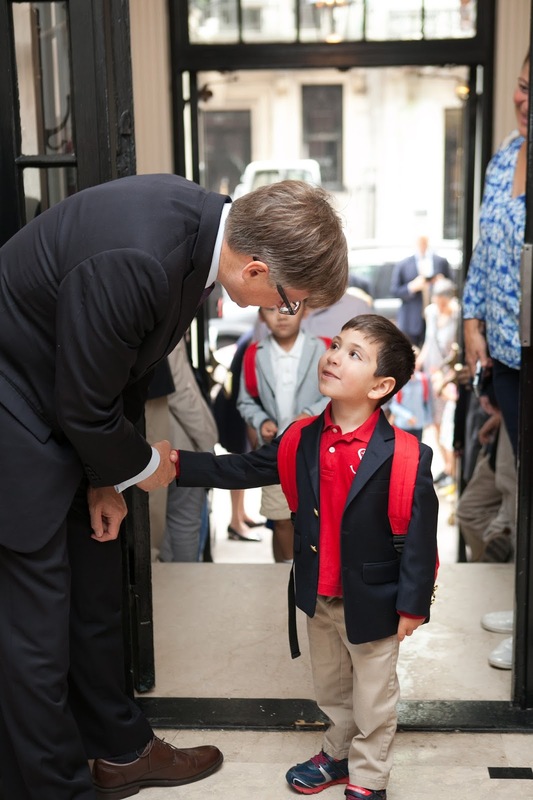 The flexible design of the new homerooms and libraries will allow the educational program at Saint David’s School to realize its full potential. 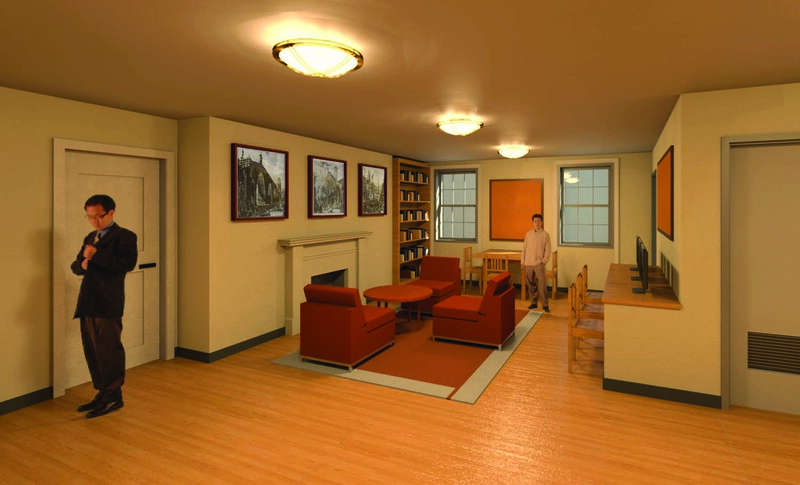 The size, placement, and configuration of homerooms will greatly enhance the exchange of ideas across each grade, and our libraries will be true centers for collaborative research and scholarship. The optimized learning experiences will ensure that Saint David’s boys will go on to be good men who are equipped to lead. What makes a machine a machine and what makes a robot a robot? In a new Fifth Grade interdisciplinary STEAM unit, our fifth graders will dig into this question as they build, test, and revise simple and compound machines and robots using LEGO technic parts and the LEGO Mindstorms EV3 robotics system. The boys are currently in the first stages of this unit, and are learning about simple and compound machines. They are using LEGOs to explore how potential energy can be converted into kinetic energy, and the relationship between these two forms of energy. They are only just beginning. The unit will build to their designing and building clocks, cranes, windmills, hydro turbines and solar powered lawn mowers. They will then add sensors, motors and a processor to their machines and build code sequences. Working in small teams, they will come to see how engineers and scientists work with each other. Rich interdisciplinary study like this inspires our boys to think critically, take risks and enjoy creative problem solving. Science faculty are eagerly planning new units and prototyping new tools that will inspire boys to take full advantage of the new science, technology, engineering, artistic design, and math (STEAM) spaces in the expanded Saint David’s. When feeling squeezed during the “Great Compression,” we imagine working with students in our three new sunny and spacious science labs, brainstorming in the STEAM Commons, or tinkering with an invention in the specialized INNOVATION workshop, outfitted with sophisticated technology and fabrication tools. We are keenly anticipating the opening of the newly expanded school in the fall of 2018! Sharing classrooms, offices, and prep space this unusual year has not always been easy. However, one of the great joys has been the hundreds of serendipitous conversations that have bubbled up in and around the interfaces and intersections between art and science as faculty of both departments work side by side in these cozy conditions. 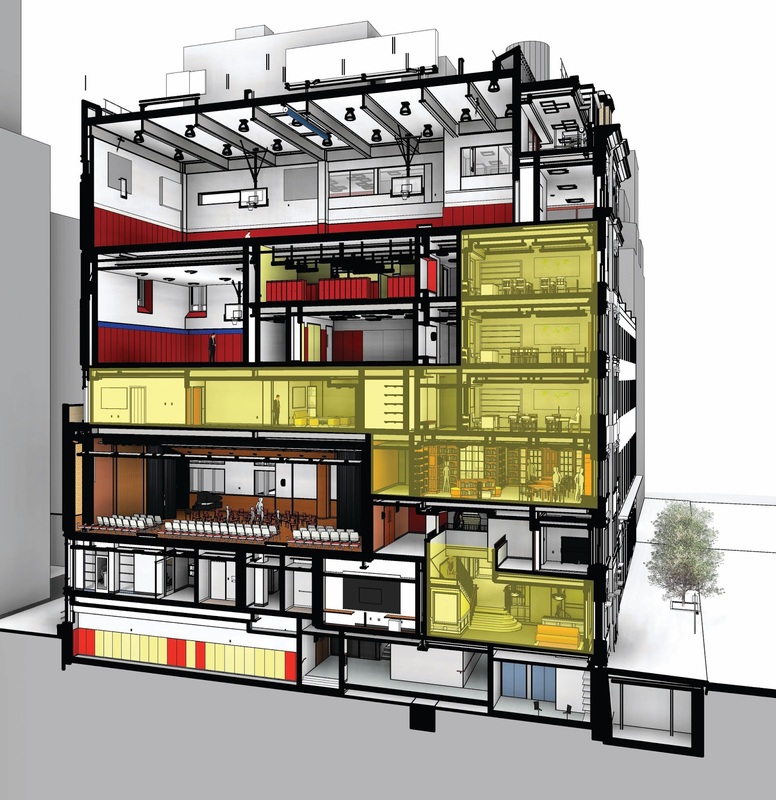 The new STEAM suite places science labs adjacent to the art studios, around a STEAM Commons, and art and science faculty will share office space. This will further foster the exciting cross-pollination of ideas, and provide spaces to include students in our lively conversations and collaborations! Eighth graders in Mark Doocey's math class recently used our backyard as a giant co-ordinate plane when they were introduced to graphing linear and quadratic functions. The boys were assigned a value for x and had to move to the correct position on the plane when shown each linear and quadratic function. By doing so, the boys formed a line or parabola, part of the solution set of the function. This exercise allowed the boys to experience how their positions and the shape of the graph changed for different functions, and when each variable of a particular function was altered. Giving the boys a way to learn kinesthetically helps them conceptualize the algebra underpinning the concepts that they learn later in the classroom. Another great aspect to an activity like this is that when the boys realize they aren't "in line" with the group and have to self correct, it provides an opportunity for co-operative learning. 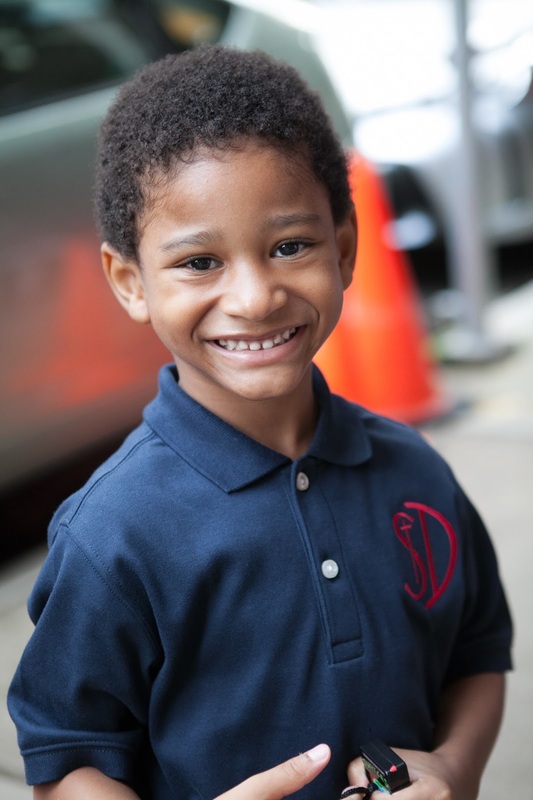 Each member of the group is responsible not only for learning what is taught, but also for helping his classmates learn, creating an atmosphere of supportive, collaborative achievement. 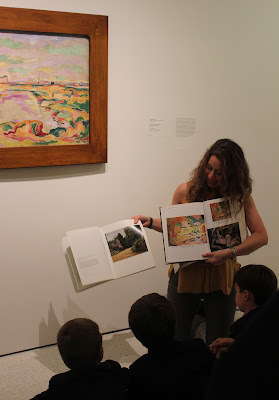 A visit to the rotunda to observe the organic forms in Frank Lloyd Wright's masterpiece, followed by close study of Braque's use of color with a museum educator in the Tannhauser Gallery, and the opportunity to put brush to canvas in the on-site Sackler Center for Arts Education. This is a typical session of our second graders' series of art classes conducted at the Guggenheim, through our partnership with the iconic museum, now in its second year. Working with Guggenheim educator Ms. Hollie Ecker and their Saint David's art teachers Melanie Fidler and Hannah Frassinelli, our boys have the opportunity over several weeks to view in person and discuss world class pieces of abstract art, and to let that discussion inform their own artistic creations. 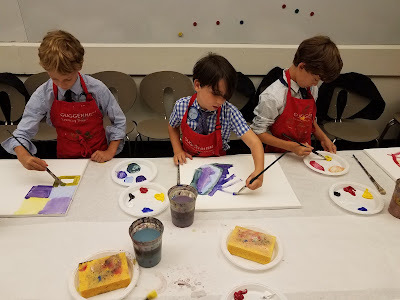 Through this process, the boys develop an increased vocabulary around art, explore color theory, and engage in active problem solving in the studio, while drawing inspiration from renowned artists. These skills increase their appreciation of the aesthetic and also translate to other disciplines. 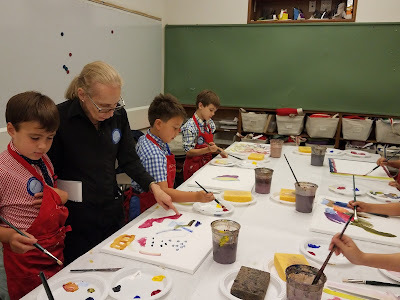 A solid foundation in art that begins when our boys are young helps them as they begin to work to their potential. Second graders began their STEAM learning this year with a cardboard building challenge. Collaborating in teams, the boys used corrugated cardboard boxes to build a structure that one or more of the boys could fit into. For this project, which took place over four sessions, the boys first reflected on themes from a book "Iggy Peck, Architect" read aloud to them by their teacher, Mrs. Sundar. They then practiced using tools and techniques for "Cardboard Carpentry" at a variety of work stations, sketched designs for their structures, combined best ideas into their "Team Plan," and finally built and tested their structures. Young boys engaged in active learning--engineers at work! 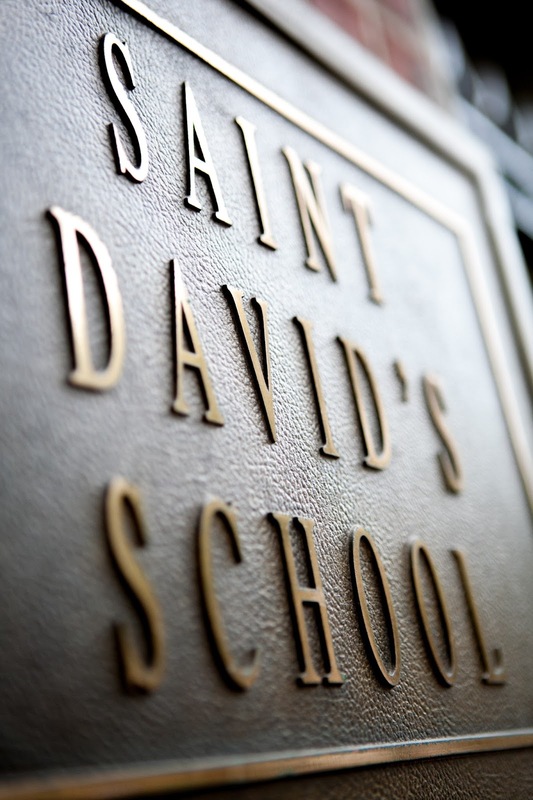 The new issue of Saint David's Magazine features several articles related to the exciting ways our school's new spaces will be used, allowing us to be "All That We Can Be." Below, Music Department Chair Jeffrey Moore "daydreams" about the project's impact on our music and performing arts program. I was daydreaming the other day. 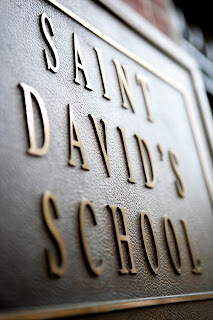 It was a quiet Sunday morning, and as I rode my bike along the Hudson River, I was imagining what the new Saint David’s School will be like in one more year. I envisioned our spacious new music rooms being utilized by every boy in the school, in use throughout the school day. Boys in Pre-K and Kindergarten exploring different instruments during their classes, listening to music of the great composers, and exploring movement and song. First, second, and third graders working together in small groups with iPads and laptops, learning to read music, to see and hear it in a completely different way. Fourth and Fifth Grade instrumental classes in close proximity, able to perform for each other at any time. Teachers relieved of the extra time needed for moving instruments and setting up for classes. Sixth, seventh, and eighth graders finding a moment during a study hall or lunch to sit in the beautiful hallways or open spaces, working on compositions or playing music together. And boys taking private instrumental lessons in several sound-proofed practice rooms designed just for that purpose. Music instruction in rooms dedicated to helping our boys do their very best learning. There's always a flurry of excitement on "opening day" that jolts us out of the summer into the promise and potential of fall. Yesterday was no exception. The boys and their teachers are ready for a year of engaging learning experiences. Our school-wide theme this year, Omnium nobis ("all that we can be"), is drawn from the first line of Saint David's Alma Mater. It speaks to the fulfillment of our boys' potential and our mission's ultimate aspiration for them, "that they be good men." In my opening letter to our community, I note that it has been said there are only two important days in life: the day we are born and the day we figure out why. It is not possible to answer the why without discovering who we are and what we are capable of achieving. As we begin Saint David's 67th year, we are eager, as a supportive and caring community, to guide our boys on their unique journeys of self discovery.